A new home is exciting to have, yet it can be very confusing. There is many things to worry about, like gathering the right documentation and actually finding the right home for you. But Fairfax Mortgage Investments is there to help. When it comes to buying your first Alexandria, VA home, no one helps you through the process better than Fairfax Mortgage Investments. 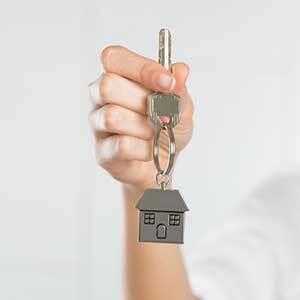 We have helped first time home buyers go through the home buying process ever since over 30 years ago. With a variety of loans to choose from, we help you find the right loan to use for your new house. Contact Fairfax Mortgage Investments today for a consultation. We will make sure to help you through the Alexandria, VA home buying process in any way we can. FHA loans are great for Alexandria, VA first time home buyers, being one of the most popular types of loans out there. These loans have little down payment and closing costs, as well as good interest rates that can be just as low. As they are insured by the Federal Housing Administration, they offer some protection so that lenders do not have to experience loss. USDA loans are funded by the US Department of Agriculture for people of low income. This loan ensures that Alexandria, VA first time home buyers will get a loan at a low interest that is a fixed rate. USDA loans are perfect for those who want to buy a house in a rural area. VA home loans are for veterans, soldiers, and widows of soldiers. They provide them with a Alexandria, VA loan that has no down payment and little interest rates, allowing them to buy the home of their dreams. This loan is guaranteed by the US Department of Veterans Affairs. FHA Section 203(k) states that a Alexandria, VA first time home buyer can buy a home in need of repairs and repair it with a single mortgage. The down payment for this kind of loan is low, while the repair costs are included in the mortgage. By taking this loan, you’re guaranteed to be able to fix up a house you want to buy. There are many things to consider during the Alexandria, VA home buying process, such as grants and programs. The process can take over a month to do, but Fairfax Mortgage Investments is always willing to be there during the entire process. We do everything from credit rescoring and enhancement to doing program applications so you don’t have to worry. When buying an Alexandria, VA home for the first time, you need to consider closing costs and housing costs, plus the cost of the home you want to buy. Make a budget around the total cost and find a realtor for that area you want to buy a home in. Then prepare your documentation for your first consultation, like pay stubs, bank account statements, W-2s, tax returns over the past two years, statements from current loans and credit lines, and the names and addresses of landlords over the past two years. After that, let Fairfax Mortgage Investments do the rest for you!